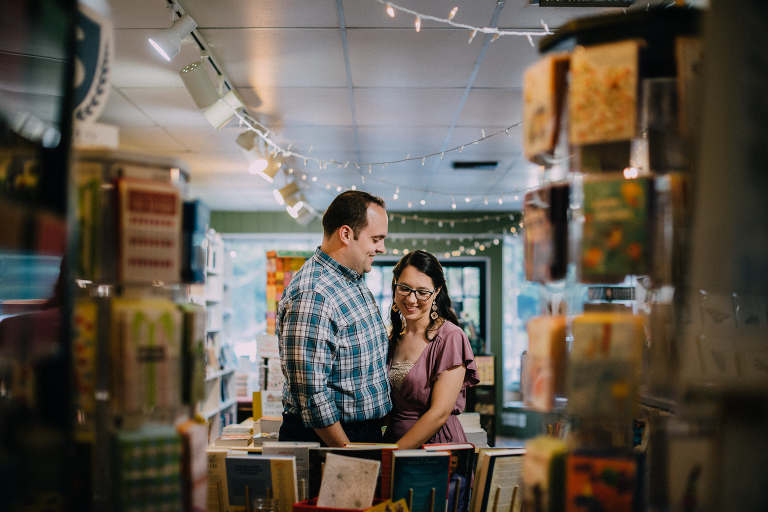 An engagement session in a bookstore? Yes, please. 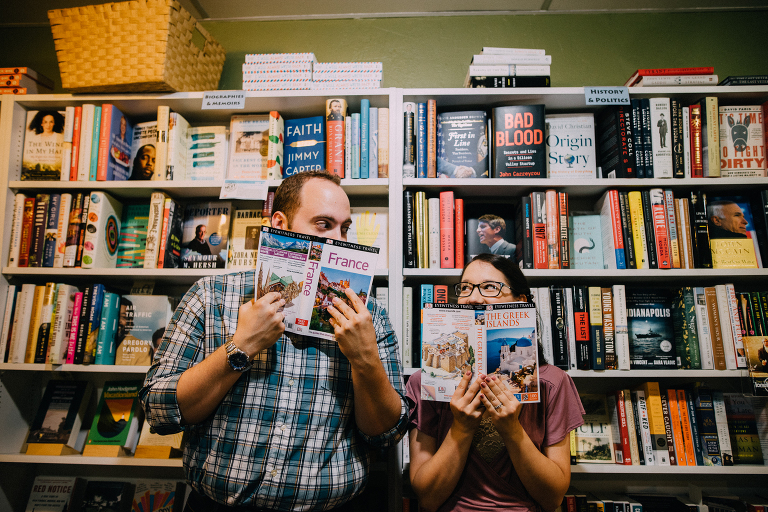 I often encourage couples to choose engagement locations based on who they are, where they like to go and what they like to do together as couples. 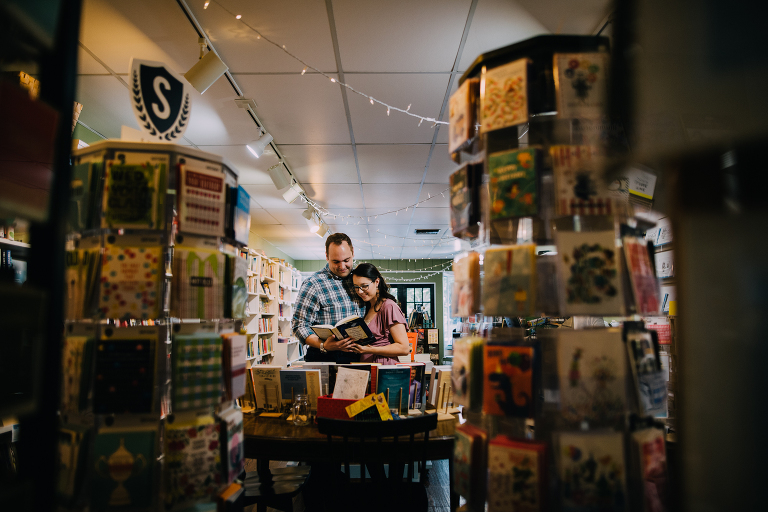 Heather and Alex took that concept to a new level and contacted Inkwood Books of Haddonfield, NJ to get permission to shoot half of the engagement session in the store. Haddonfield has a cute downtown area with coffee shops, brick buildings and unique stores, so we ventured around for a bit. As if the evening couldn’t get any more amazing, we got a gorgeous sunset on Cooper River as our backdrop. We couldn’t leave out the third member of the group, their cute little dog. We ended the session using the last bit of the yummy sunset. Thank you so much, Heather and Alex!!! 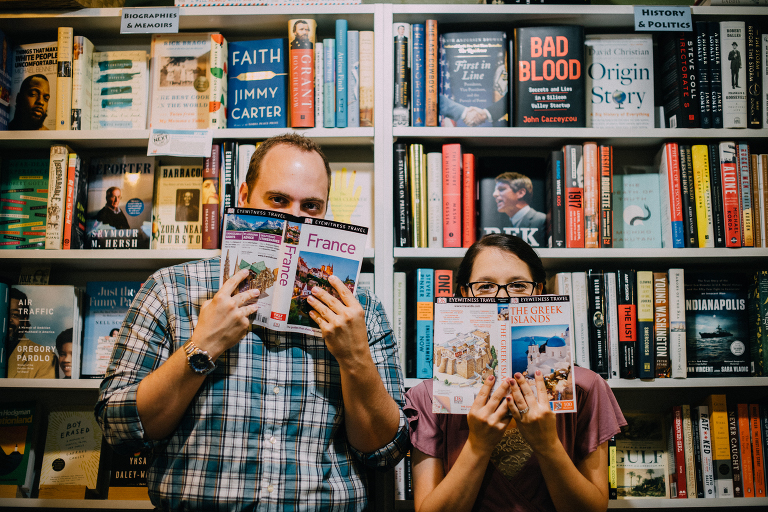 I had such a great time shooting an engagement session unique to you! Can’t wait for the wedding!